Cooking rice is no less complex than a chemistry experiment; you need to cook the right amount of rice, at the right temperature, for the right amount of time to get the exact portion of rice you want. Believe us, it is easier said than done, quite often, even the most experienced of cooks end up messing up their rice; it either turns out overcooked and gooey, or undercooked and chewy. If you are an ardent fan of rice, then buying a rice cooker should be an obvious choice, but with such a huge variety of rice cookers available on the market, which one do you choose? 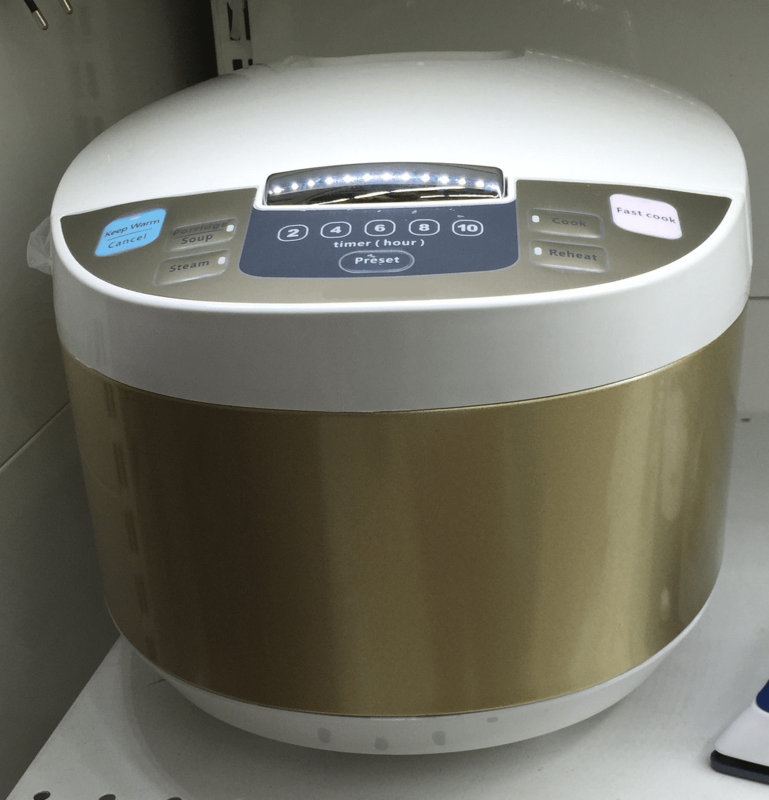 Our answer –the Zojirushi NS-LAC05 rice cooker. Here is our take on this product, and why it should have a spot in a rice lovers kitchen. The Zojirushi NS LAC05 rice cooker adjusts temperatures and cooking times, and can cook up to 3 cups of rice perfectly. It lets you cook white rice, brown rice, sushi rice, and even oatmeal porridge in a hassle free manner. All you need to do is measure rice and water, put them in the cooker, select the quantity, and type of rice from the LCD panel, and that’s it – job done. The microcomputerized digital technology ensures that the rice gets cooked evenly with the right amount of heat. The rice does not stay soaked in water for an unnecessarily long time, so it does not lose texture, aroma and nutrients. Once the cooking cycle is complete, the Zojirushi NS LAC05 will keep your rice warm till it reaches your plate. The Zojirushi NS-LAC05 rice cooker is a great kitchen appliance that takes all the guesswork out of rice cooking, and you get perfectly cooked rice every time. 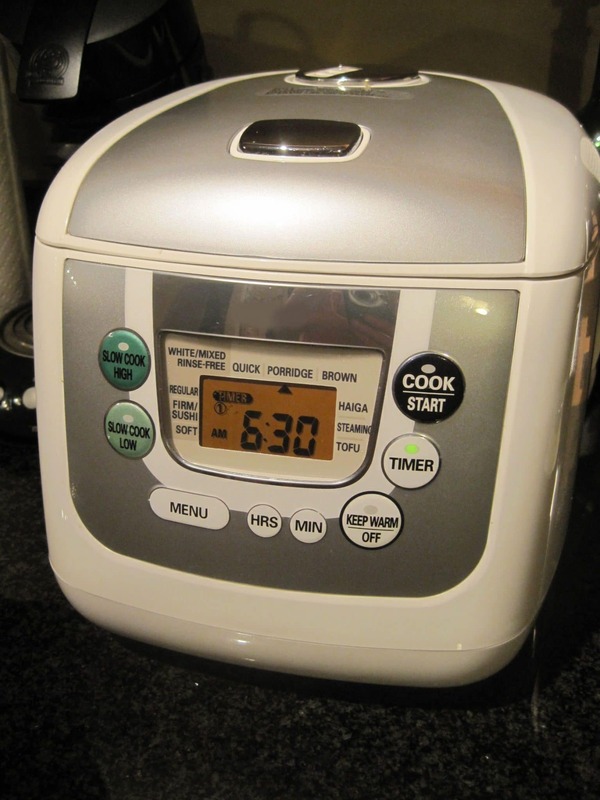 The best feature of this rice cooker is the micro computerized digital technology that cooks your rice in even heat, at the right temperature, and for exactly the correct amount of time, leaving nothing to speculation. The LCD panel offers easy to set timer functions, and helps you keep track of time. The five different menu selections- white, brown, sushi, mixed and porridge, gives this rice cooker great versatility, and lets you cook a whole variety of rice recipes in a hassle free manner. The inner non-stick cooking pan is spherical, allowing the rice to cook in even heat, thereby giving it great texture, taste and consistency. The Zojirushi NS-LAC05 looks good, and measures 11”X9”X9.5”. It is a lightweight and reasonably compact piece of equipment, and can easily sit on your countertop without taking up a lot of space. It can cook 3 cups of rice at a time, and once the cooking cycle is complete, the automatic warmer will get into action to ensure that you get warm rice for your meal. If you cook rice quite often, then this rice cooker will make your life easy. It will help you cook great tasting rice in the simplest possible way. It not only saves you a lot of time, but also ensures that you get only perfectly cooked rice always. In this versatile rice cooker, you can cook long grain brown, medium grain brown, sushi rice, jasmine, white basmati, brown basmati, and brown/white mixes. The pre-programmed menu options allow for ease of use and there are even 2 timer settings so that you can cook and then rewarm just before your meal. The non-stick cooking pan and the removable lid are extremely easy to clean. It also has a retractable cord and there is a small holder for the rice spoon (which is included) attached to the side of the cooker. It is a great kitchen investment for singles, couples or small families. If you are busy but still want to cook healthy easy meals at home – the timer setting allows you to set it up in the morning and then come home to your rice which has just been cooked allowing you to whip up a quick stir fry. It is great for anyone who does constant injustice to their rice. The pre-programmed functions are a boon for all rice fans and naïve cooks, and the Zojirushi NS-LAC05 is a must for anyone who wants to enjoy great tasting rice, without putting in much of an effort. If you are a large family, and you need to cook large quantities of rice, then it is wise to invest in a model with a higher capacity. This one would cook 3 cups of rice, which can suffice the needs of a couple or small family. The Zojirushi NS LAC05 rice cooker is a great investment for singles, couples or small families. It takes all the guesswork and hassles out of rice cooking, and the preset functions allow you to cook 5 different types of rice just by pressing a button. It can be used for porridge and even making polenta. All in all a product worthy of the kitchen shelf. Buying it online is the most convenient way to go as it saves you money and gets delivered in a day or two. We have compared prices online and found that Amazon has the best deal on this product. We love this rice cooker. The songs it plays are hilarious, and it makes fantastic rice.